Chill by day, party by night with 8 days of relaxation. Soak up Split’s Mediterranean vibes at a waterfront bar, visit the long pebbly beaches and palm fringed port of Makarska, experience the trendy Dalmatian hotspot of Hvar and trek up to it’s hilltop fortress. 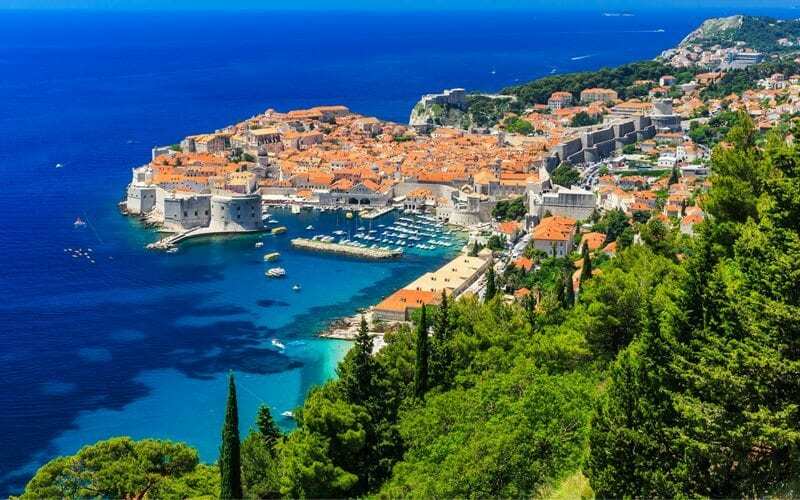 Captivate yourself in the Venetian architecture at the small fishing town of Korcula… Conclude your sailing in the ‘Pearl of the Adriatic’, Dubrovnik! 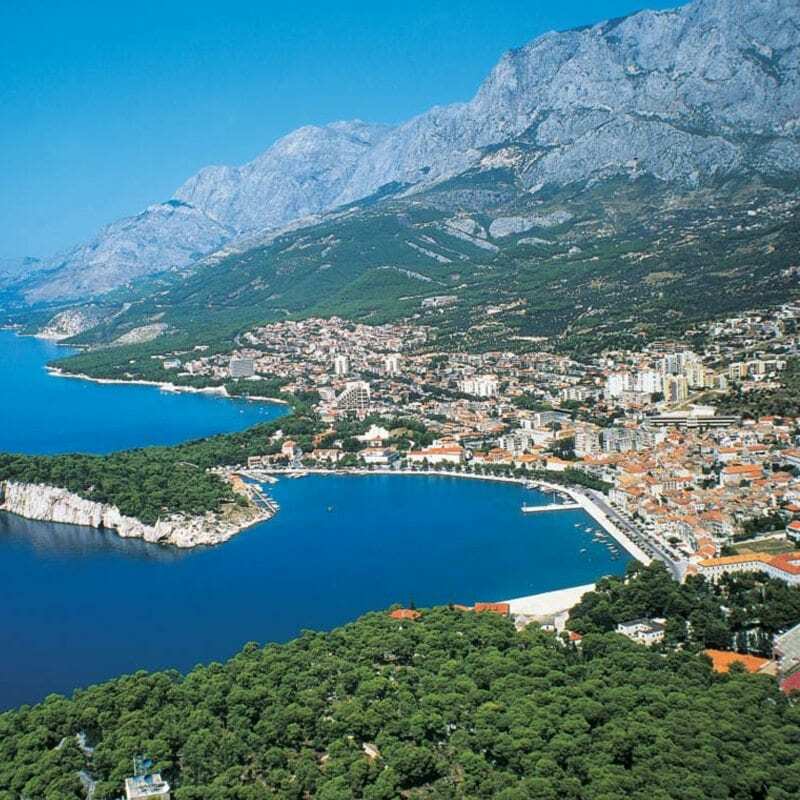 Among the most popular of the Adriatic, it was named a top destination to travel in 2012. Crowding streets and the crazy nightlife can’t go unmentioned. 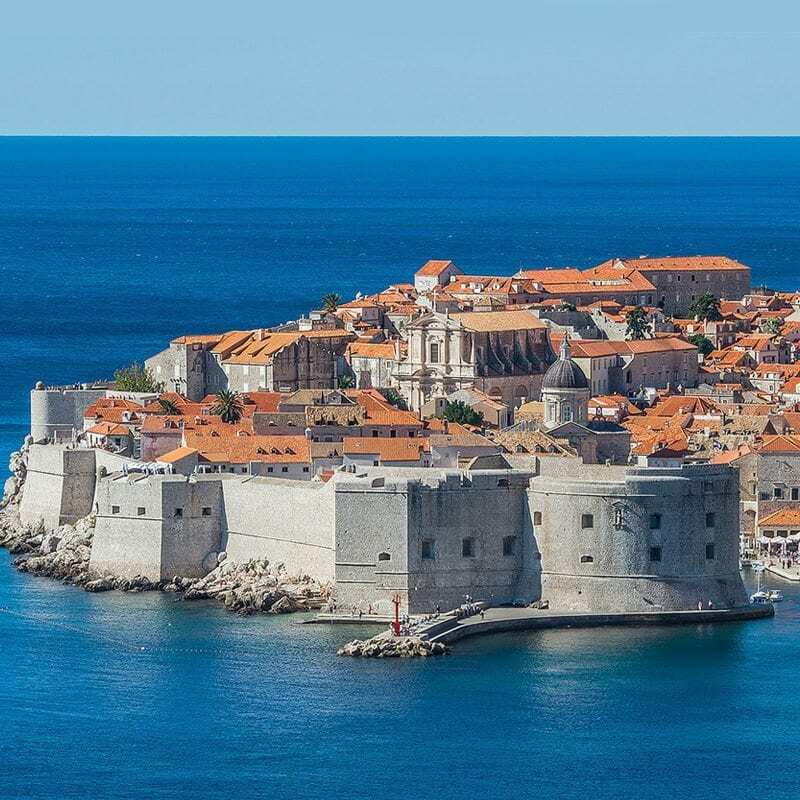 The birthplace of Marco Polo reminds many of a miniature Dubrovnik with its walls. Make your way to the old city tower to grab a cocktail and enjoy the stunning view. A true beauty of nature, the island of Mljet is covered in green with some small villages and lakes. A third of the island is an amazing Natural Park. 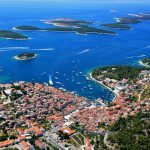 The largest city of Adriatic has a stunning coastline with countless cafes, bars or shops. Emperor Diocletain’s palace, a World Heritage Site, is open for visitors. After boarding our “A” category cruiser at 1:00pm from the Split harbour, we enjoy lunch on board before cruising the tranquil waters of the Adriatic Sea. There are plenty of stops for swimming on the way to Omis, a small port located at the mouth of the Cetina River and surrounded by huge gorges. 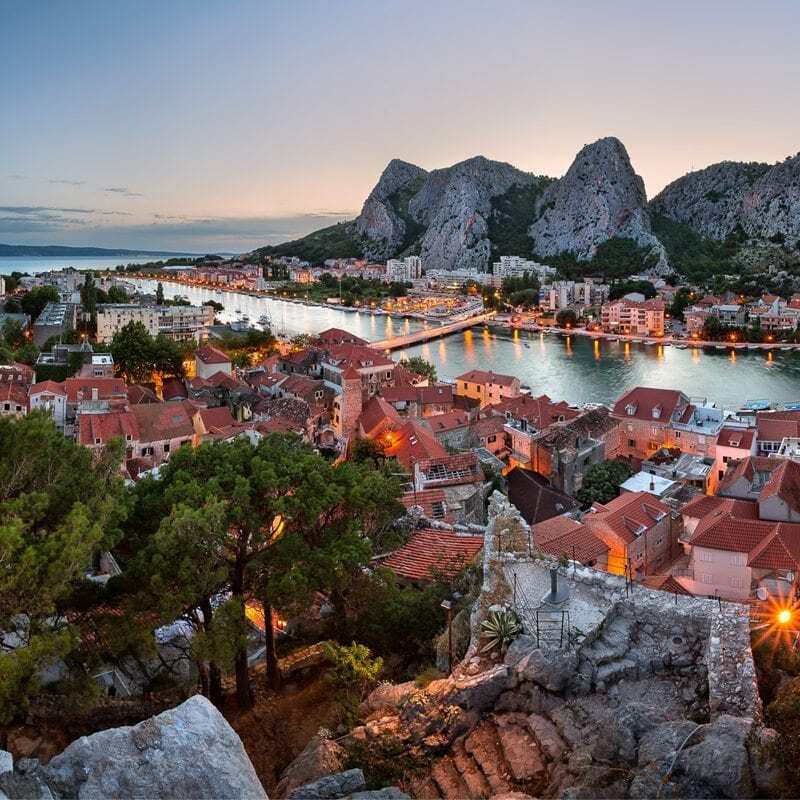 Historically, Omis was home to the fearful pirates whose fast boats were used to attack trade ships. Old monuments and buildings, as well as historic town names, are a constant reminder of the turbulent past. We go rafting here on the Cetina River which is one of the highlight’s of the week. Today we depart for a day of swimming at beautiful bays along the Dalmatian coast. 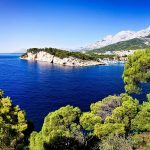 We sail to the island of Makarska, which is a popular resort town on the mainland with the Biokovo mountain range acting as a stunning backdrop. After a brief orientation walk you have the afternoon free to lie on the beach; take part in water sports like parasailing and jet skiing; or just enjoy the many cafes, bars and restaurants that line the 1500 metre-long beach. At night get ready to go ‘Deep’ as we head out to party in a cave! As the anchor comes up in the morning, we wave goodbye to the shores of Makarska and are bound for Hvar. 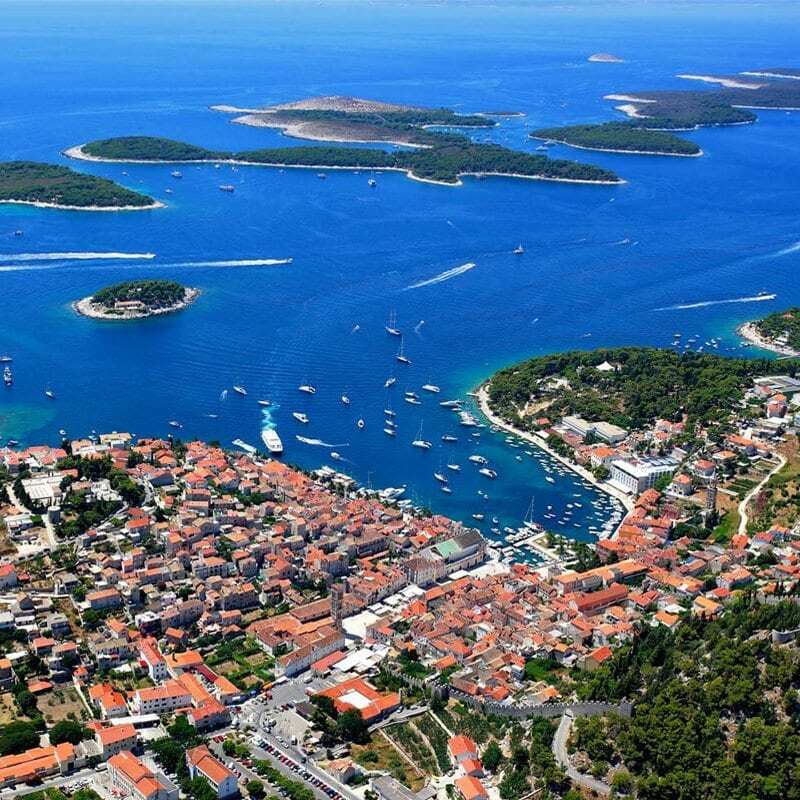 Hvar is Croatia’s premier island, which is known as the sunniest island in the Adriatic – receiving on average 2,724 hours of sunshine a year. It is also famous for its lavender, sage, rosemary and wine. The island is home to spectacular beaches, nightlife and draws numerous celebrities such as Prince Harry and his antics at one of the famous outdoor clubs. 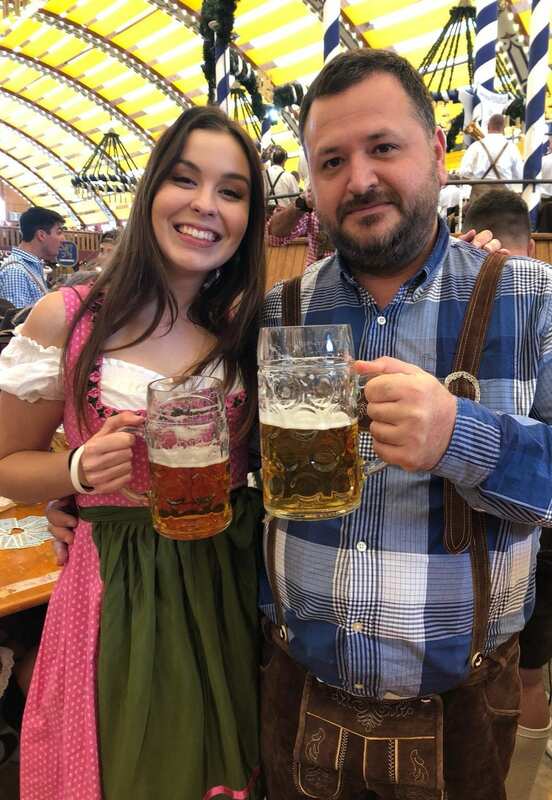 After an orientation walk you can sample some fresh cuisine at any number of restaurants and then get ready to party with the elite as we hit the local bars and clubs! Today we first sail to Lumbarda beach and spend some hours here to swimming, sunbathing or join some various water-sports and activities. We then continue to Korcula town, the birthplace of Marco Polo. 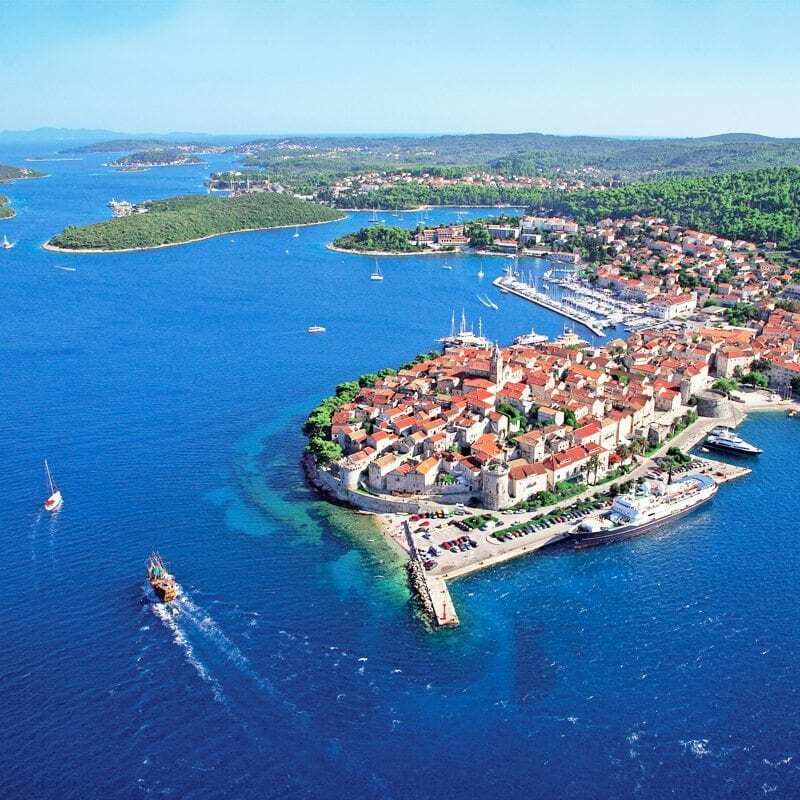 Korcula is graced with indented coves, rolling hills and a walled old town that resembles a miniature Dubrovnik. 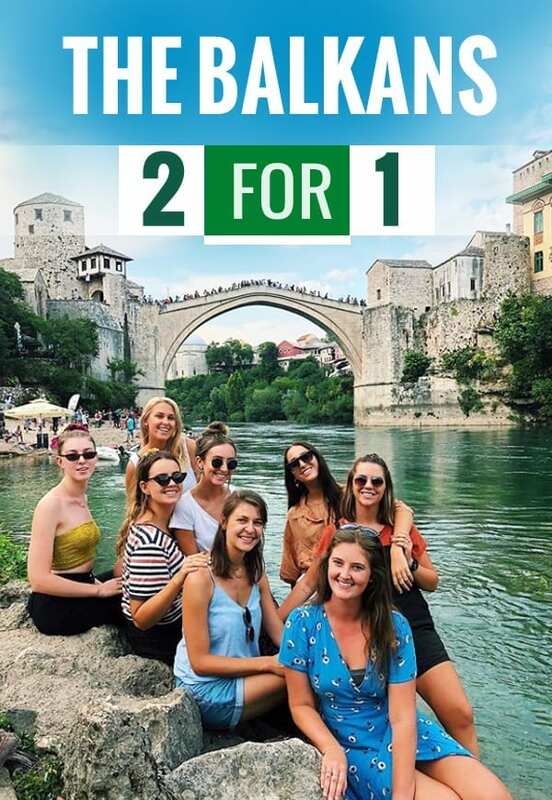 After an orientation walk you can wander the streets checking out the markets and many hand-made jewellery shops, visit the spot where Marco Polo lived, or grab a cocktail in a bar located at the top of the old city tower for some phenomenal views. Today we cruise to the island of Mljet, an island covered by forests and dotted with fields, vineyards and small villages. 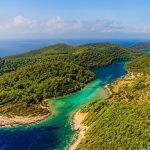 Not only is one third of the island declared a National Park, Time Magazine placed Mljet among the ten most beautiful islands in the world. 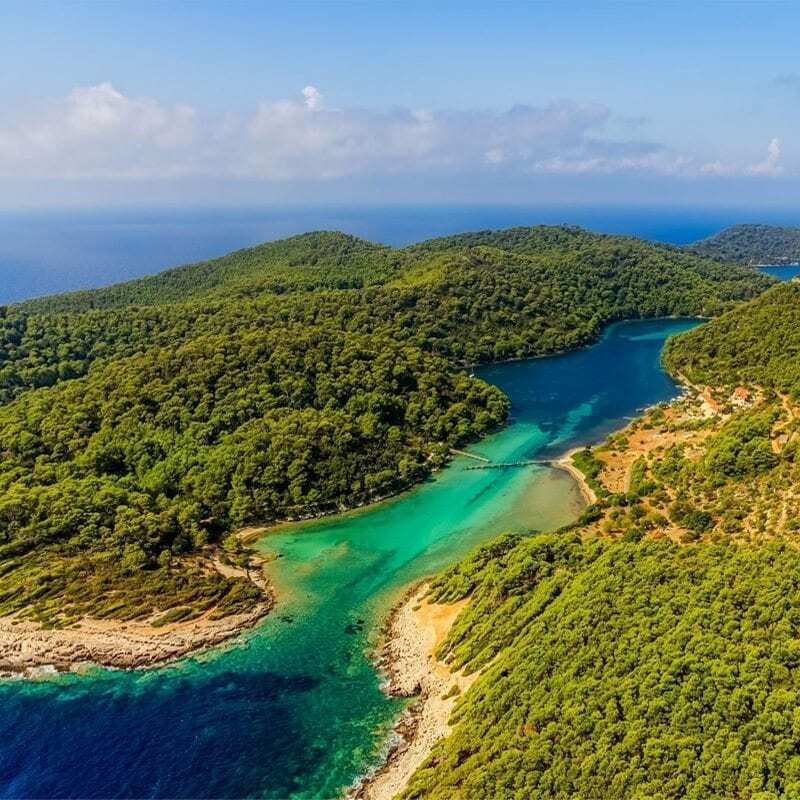 According to legend, this is where Odysseus got trapped for seven years with his lover Calypso – though locals believe it is the natural beauty of Mljet that charmed him. Here on this enchanting island you have the afternoon to visit the salt lakes, swim, kayak, cycle or scoot around. 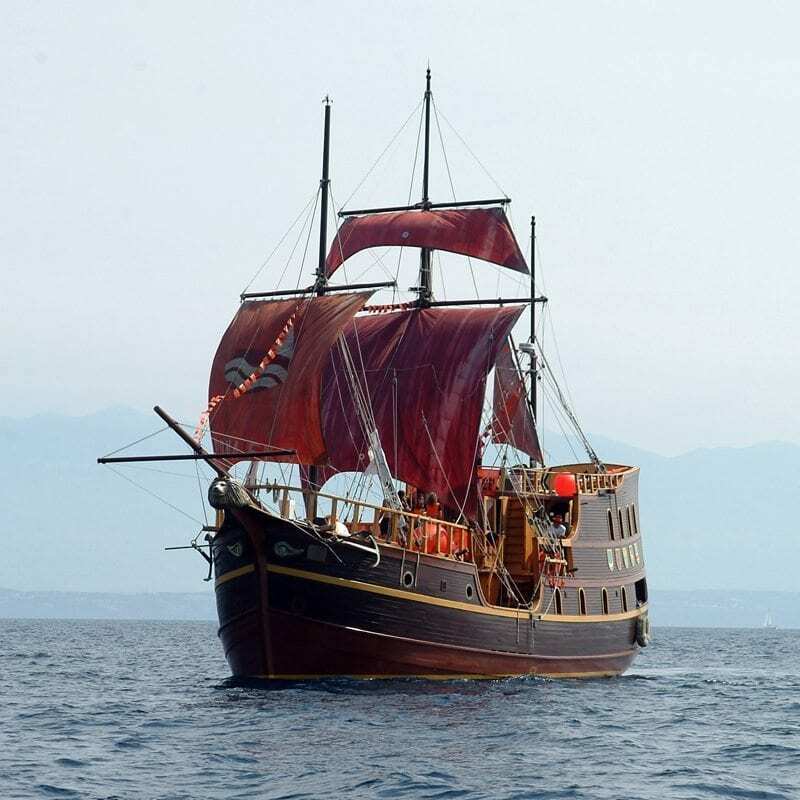 Of course no sailing trip on a traditional Croatian ship is complete without dressing like a pirate - tonight we have our on-board ‘Pirate Party’ with a special BBQ and traditional Croatian cuisine prepared by the Captain and crew plus games to take us into the night. This morning we have time for our heads to recover and for an another sunbake or swim in the crystal clear waters. 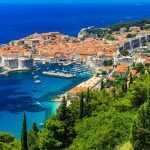 Later that day we head for the ‘pearl of the Adriatic’ – Dubrovnik! 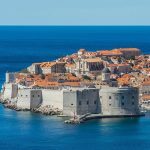 Much of the history of Dubrovnik can be characterised by its intact city walls, which runs uninterrupted for 1940 meters, encircling the city. This complex structure is one of the most beautiful and strongest fortified systems in Europe and one of the main attractions in the city. 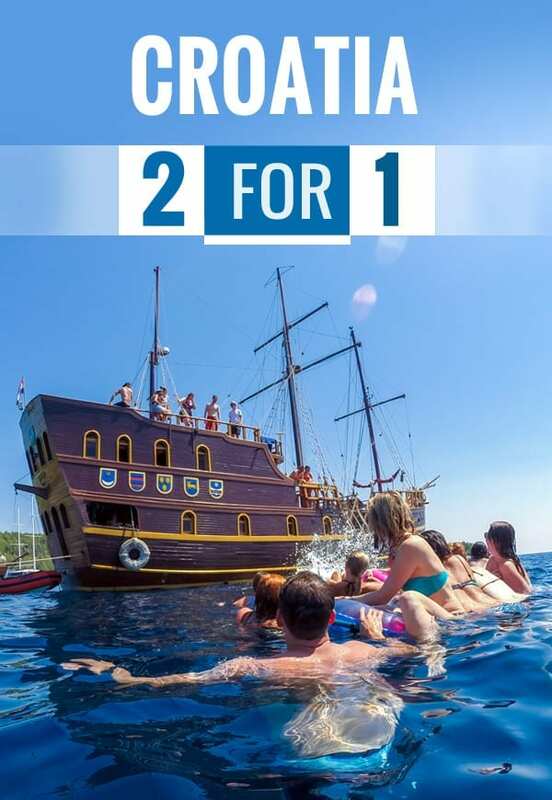 In the evening we indulge in some fresh seafood, before seeing what the Dubrovnik nightlife has in store – party in a 13th Century fortress anyone? This morning we discover Dubrovnik’s sites with our tour leader and local guide. 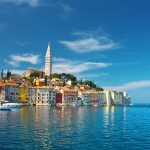 The afternoon is yours free to explore - walk the city walls, wander through the marble streets, soak up some rays on the beach and maybe enjoy an ice cold beer taking in the view of the glistening Adriatic. After one last breakfast together, we say goodbye to new friends and disembark the ship in Dubrovnik. All prices are based on double, twin or triple share occupancy. Solo passengers not wishing to pay a single supplement will be accommodated in a double, twin, triple or quadruple room according to availability with a passenger(s) of the same gender. Single supplement needs only be paid if the passenger does not want to share and requests their own room. The supplement must be paid in addition to the tour fee. Discounts can only be applied at the time of booking and cannot be added at a later date, regardless of any changes made to the original booking. 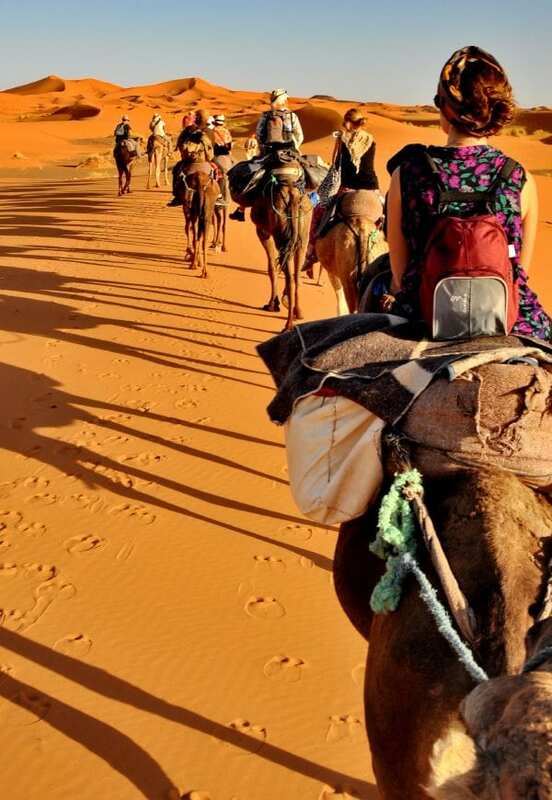 Services of an experienced Travel Talk tour leader. 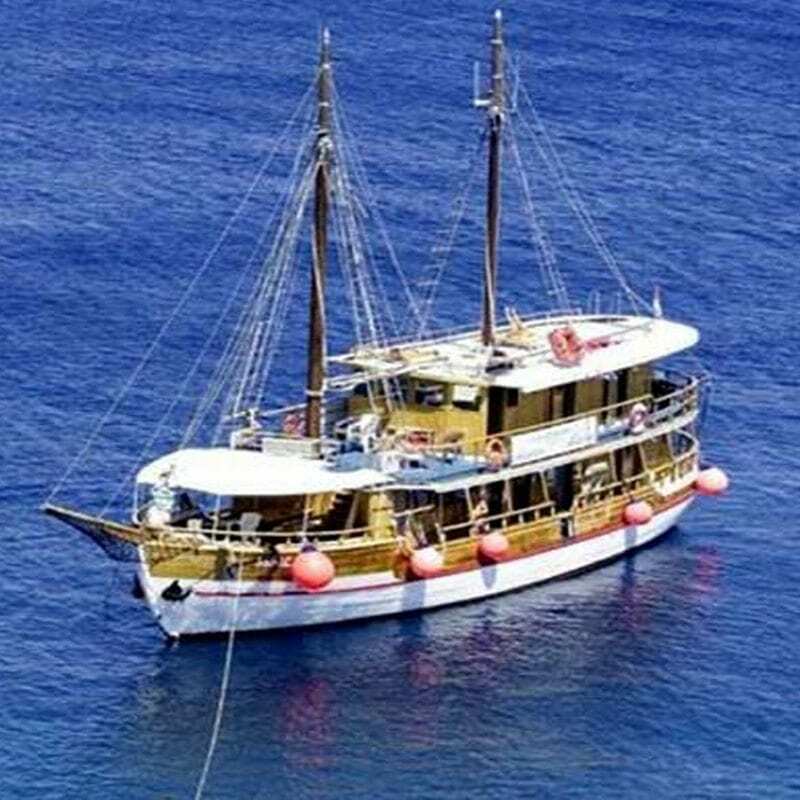 Ribic is a traditional A class cruise boat for the Croatian islands. Ribic provides the right atmosphere to enjoy sailing the turquoise waters of the Adriatic with its 2 decks, bar,TV, Our 25m cruise boat is at your service with 10 cabins with private facilities. Lav is a unique boat sailing the waters of the Adriatic. It is a modern Pirate ship built in 2003 and renovated in 2010. The 25m long beautiful ship awaits its passengers with its 10 cabins with private facilities. Don’t let its authentic image confuse you because Lav also has 2 decks, bar, lounge, dining room, sun decks wiht sunbeds and chairs, TV & audiovisual equipment in main lounge and water sports equipment. Amazing crew, boat and even better guides! Couldn’t have asked for more! Bree and Jo were amazing tour leaders, the crew were all lovely. Dino is an absolute champ. Loved the trip! Would definitely recommend it. Awesome tour leaders. Awesome crew. Dino (Barman) had such a great work ethic. Best group of people. Great week. All the crew on board were great. Amy does a great job keeping everything organised and everyone happy. Super tour leader. Dino is also awesome and helps with everything. Had a fun week. Smooth sailing. Everything & everyone was bloody amazing! Loved every bit. Amy was very approachable & kind as a tour leader. Would recommend! Amazing crew, great week-time of my life. Monica was a great guide,informative,fun and friendly. Our Crew + Tour Guide were exceptional. Funny,helpful+friendly even on the second last tour of the season. Everything was amazing + great value for money!! !